Rare opportunity to own the only new construction condo on Naples Bay in Old Naples - Naples Boat Club offers direct, unobstructed, water, boat and sunrise views. Buyer can make finishing selections in this residence being completely rebuilt from the concrete shell. 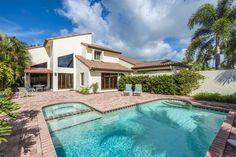 Designed by renowned architect Jeff Harrell and constructed by Imperial Homes of Naples. Enjoy water views from the gourmet double island kitchen with porcelain large-slab countertops and Wolf/Sub-Zero appliances. Watch boats sail past from a large master suite offering a soaking tub and spacious dual closets. Featuring porcelain wood-finished flooring throughout and new hurricane rated Andersen windows and doors, this is an outstanding waterfront property, just steps from Cambier Park, Tin City, and Fifth Ave South. Enjoy the sunrise and moonrise over Naples Bay, the Naples Boat Parade, and unending entertainment by boats, kayaks and dolphins. 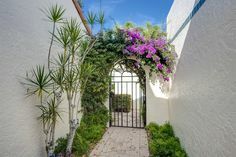 Naples Boat Club, one of only six waterfront condo communities in Old Naples, features garage parking, pool, clubhouse, a restaurant and, unlike any other Old Naples condo, wet or dry boat slips available for lease or sale. Construction completion in summer 2019. Updated: 17th April, 2019 8:28 PM.